Many are crying and pleading with God to pour out His Spirit one more time and turn America back from its apocalyptic course. And they are calling out to God’s people to wake up and intercede to avert the terrible judgments already beginning. 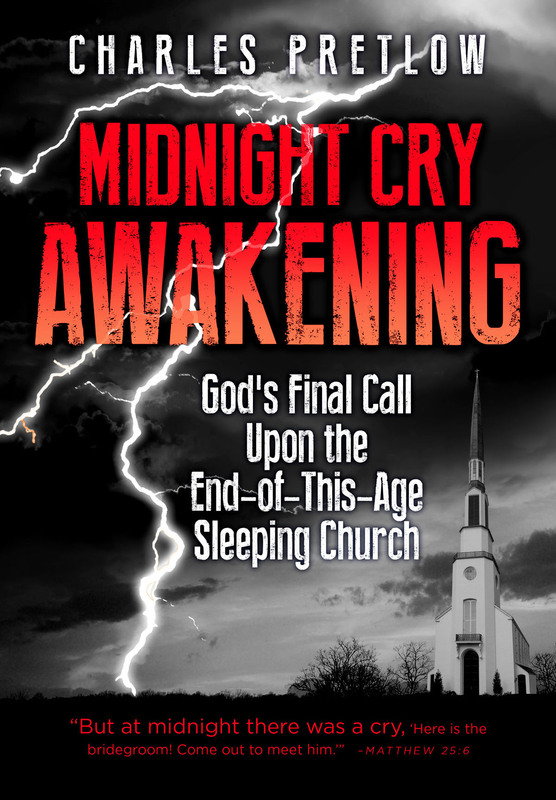 Surprisingly, the only massive move of God coming to America and the world is the Midnight Cry Awakening that was predicted by Christ in the parable of the Ten Maidens. See Matthew 25:1-13. Christ is coming and they are not ready! Jesus spoke of events that would clearly point to the timing for the end-of-this-age. In recognizing these signs, Christ holds Christians responsible to be ready. However, in spite of his warnings, Christ also predicted that his church would be sound asleep at the midnight hour, the darkest time of the-end-of-this-age. “As the bridegroom was delayed, they all became drowsy and slept” (Matthew 25:5). This volume presents Christ’s version concerning the sequencing of the events leading to the end-of-this-age. Our message is for the sincere believer who prefers truth over myth and sound doctrine over faulty theology. If you are a Christian who desires to wake up and become ready, then this message will do just that. Wake up and prepare now, before the midnight cry awakening, so you can be used by God on the day that he acts. Many on fire Christians will wake up unprepared and in the end find themselves locked out and say, “Lord, lord, open to us.” then they will hear from Jesus, “Truly,I say to you,I do not know you” (Matthew 25:11-12). Charles Pretlow shares insights gained from years of study and ministry concerning false doctrines that keep Christians weak and confused. He continues to minister, write, and speak helping the sincere Christian prepare for the coming dark times leading up to Christ’s return. Part Two Prologue: Work Out and Grow Up! Author’s testimony on escaping False Charismatic and Pentecostal movements and learning to walk in the true gifts of the Holy Spirit. No part of this content by be copied and distributed with out written consent of author.